Concrete Admixture - Sulphonated Aminophenol Based Superplasticizer (AS) - MUHU (China) Co., Ltd.
Amino-Arylsulphonate Phenol Formaldehyde Condensate（AS）is a high range water reducer, commonly referred to as superplasticizer. It is composed of modified amino sulphonate and organic compounds. It contains no chloride. Amino-Arylsulphonate Phenol Formaldehyde Condensate（AS）is a high range water reducer, commonly referred to as superplasticizer. 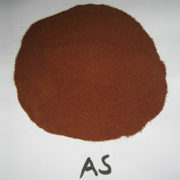 It is composed with modified amino sulphonate and organic compounds. It contains no chloride . AS is non air-entraining, low addition rate, low slump loss, thus decrease the concrete viscosity. At normal condition, it can be prepared for flowable concrete of C60-C80 without using strength enhancing agent. AS complies with ASTM C494, Type F standard for high range water reducer. To obtain a high quality concrete mix with accelerated strength development and extended workability without delayed setting characteristics. To provide a concrete mix with exceptional placing characteristics and accelerated cement hydration for early strength development and high quality concrete. To provide improved durability by increasing ultimate strengths and reducing concrete permeability. 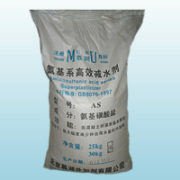 AS is compatible with Portland Cement, Portland Slag Cement, Fly-ash Cement, Portland Pozzolanic Cement, etc. Applicable in precast, ready-mixed concrete, flowable and self-compacting concrete and steam-curing concrete for both industrial and civil construction project. It can be applied on bridge deck projects or any concrete where it is desired to keep the water/cement ratio to a minimum and still achieve the degree of workability necessary to provide easy rendering and consolidation. It is also available as base material for compound admixtures, especially when mixed with Naphthalene-based superplasticizer, it can achieve better water reducing rate and high strength performance. High water reducing rate: The water reducing rate is over 30%. Low slump loss: It can satisfy the requirement of long time transportation. It is ideal for ready-mixed and pumping concrete. Early strength: It may reach to 70% of the designed strength grade in 3 days. High durability: High volume stability, impermeability, anti-freezing and thawing ability makes concrete more durable. Low alkali content: It can prevent alkali-aggregate reaction. 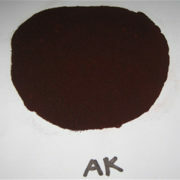 When it is used in winter, there is no crystallization. AS can make high-slump flowing concrete. It allows concrete to be produced at low water/cement ratios with low or normal slump loss. The optimum dosage of AS to meet specific requirements should always be determined by trials using the materials and conditions that will be experienced in use. When AS is applied in the form of powder, normal dosage ranges from 0.3% to 1.0% of the weight of cementitious material, while the suggested rate is 0.45% taking technical and economic factors into consideration. 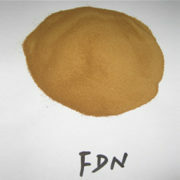 Dosages outside the normal range quoted above can be used to meet particular mix requirements.